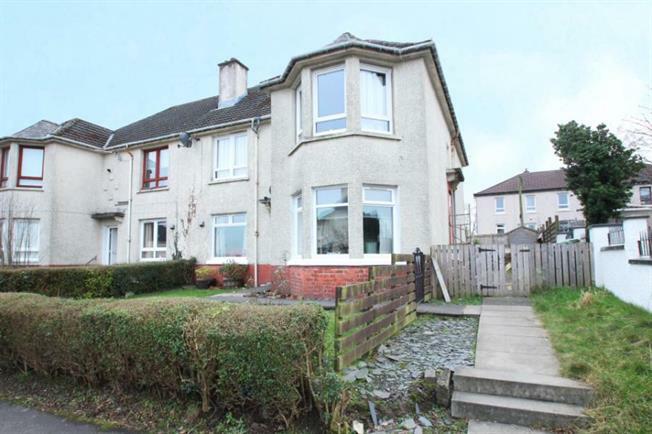 3 Bedroom Ground Floor Flat For Sale in Glasgow for Fixed Price £113,000. A very well presented three bedroom cottage flat with both front and back door access. Set in this very popular Knightswood Street close to amenities along Baldwin Avenue and Knightswood Cross. The accommodation, which is spacious throughout comprises reception hallway, front facing lounge, modern kitchen which is of a generous size, three bedrooms and a shower room with white 3 piece suite and mains shower. Double glazing and gas central heating complete the features. Externally there are private gardens to both the front and back of the property which have been well maintained. The rear garden provides direct access to the kitchen and is decked.